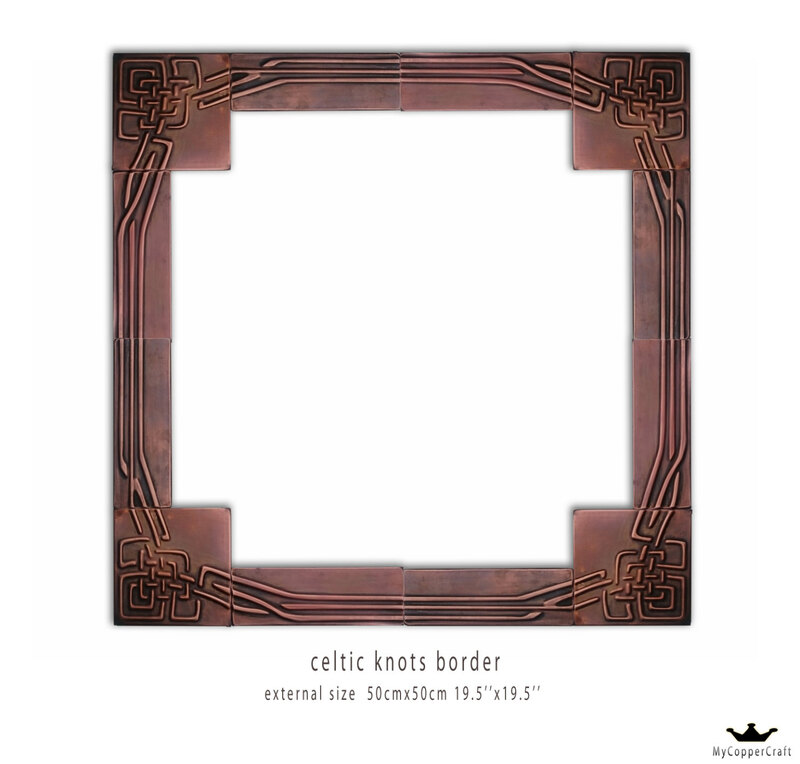 Beautiful celtic knot tiles made out of copper, for your kitchen backsplash. Brown Patina. Custom orders and designs also available. You can customize your order, it could be brass, light brwon patina, dark brown patina, or green rustic patina. Ready to post within 5 working days. We use National Post trackable service. It takes 3-5 working days for delivery in EU countries and 7-20 working days to USA and Canada. Yes they do. Thinset mortar is used, just as normal tile. Fill the back of the copper tiles with thinset mortar. Grouting is adviced.